Many American businesses grow by expanding their operations outside the United States. For some companies, the best opportunities for growth are in emerging markets. While these markets may offer economic advantages, they also create political risks. This term refers to government decisions, social changes, economic policies, and other factors that can seriously effect a company's financial condition. Businesses can protect themselves against many of these risks by purchasing political risk insurance. Expropriation, Nationalization or Confiscation. Expropriation means the taking of private property by a government for public use. For instance, a government seizes a company-owned building and uses it as a public school. Nationalization occurs when a government takes ownership of private assets or an entire industry. For example, a government assumes ownership of an oil drilling operation owned by a U.S. company. Confiscation means the taking of private property by a government. Incontrovertible Currency. Governments may declare the local currency incontrovertible, meaning it can't be exchanged for any other currency. The government may also prohibit the movement of local currency out of the country. Political Violence. This term means violent acts committed by a government or individuals for political purposes. Examples are strikes, riots, civil commotion, war, insurrection, and terrorism. Breach of Contract. The government may fail to fulfill the terms of a contract or refuse to pay damages awarded to a business as a result of an arbitration proceeding. Alternatively, it might rescind a contract or force a business to renegotiate the terms. Loss of Income. A business may suffer a loss of income if it is forced to shut down all or part of its operations due to political violence or acts by the government. Political risk insurance (PRI) covers financial losses that result from the types of risks outlined above. It protects a company against confiscation of funds and/or tangible assets, unreasonable taxes, nationalization of property or a project, and refusal to abide by contract terms. 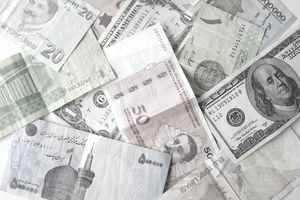 It covers acts by a government that prevent a business from converting earnings in the local currency and transferring them out of the country. It also covers the loss of equity assets (including physical property) and income losses caused by political violence. PRI policies are typically written to cover a specific project or activity. Depending on the duration of the project, the policy period may be short (a month or two) or long (several years). There is no standard PRI policy form. Thus, it is important to read the wording carefully. Review the entire contract, including the conditions, definitions, and exclusions. Be sure the policy applies in the country where you are doing business. PRI is available from large multiline insurers like AIG and Chubb, and specialty insurers like STARR and XL Catlin. Two other sources are Lloyds' of London and the Overseas Private Investment Corporation (OPIC). OPIC is an agency of the U.S. government. It was created in 1971 to facilitate the growth of U.S. direct investment in developing countries. It sells PRI to businesses based in the U.S. that are majority-owned by U.S. citizens or corporations. It also offers coverage to companies based outside the U.S. if they are at least 95 percent owned by U.S. citizens or corporations. Businesses can apply for political risk insurance by completing an application on the OPIC website.